The Inkpot Award sitting on Jason Lutes' mantel is kind of adorable: The anthropomorphized inkpot-person strikes an attitude, right hand on hip, left holding a staff-like quill pen à la Gandalf. Given annually by Comic-Con International to major contributors "to the worlds of comics, science fiction/fantasy" and related fields, the trophy is surprisingly petite, maybe a foot or so high. But the award — which Lutes received at the San Diego Comic-Con in July — has outsize significance just now. 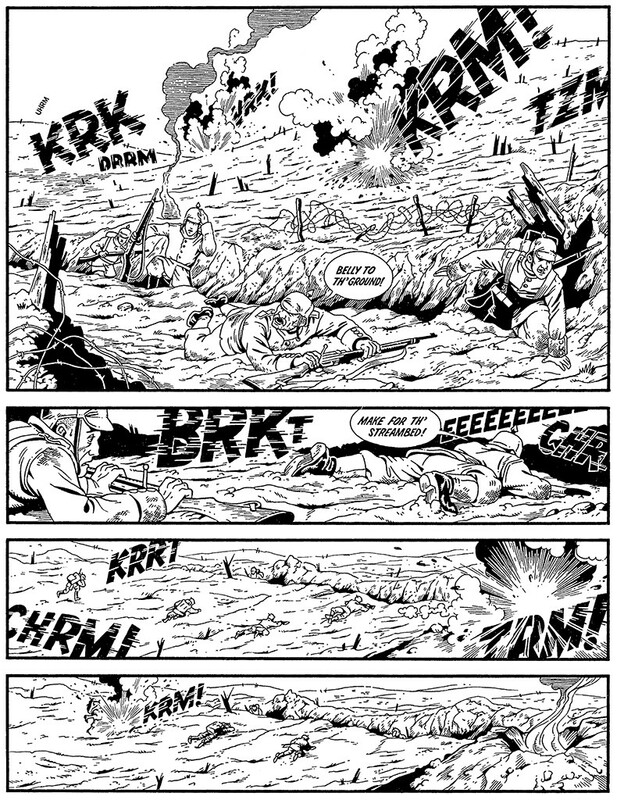 The 50-year-old cartoonist, who lives in Hartland and teaches at the Center for Cartoon Studies in White River Junction, has recently finished a masterwork in the comics medium — or, as he calls it, visual storytelling. And what a story it is. The final book in Lutes' Berlin trilogy is about to be released in softcover by publisher Drawn & Quarterly, simultaneously with a 580-page hardcover tome that comprises all three volumes. Collectively, it's an astonishing accomplishment that represents a grand vision and more than 20 years' work. Aside from the sheer quantity of drawing and writing that went into the books, Berlin's visual inventiveness, sharp observation and emotional impact have elicited gushing praise from early reviewers. 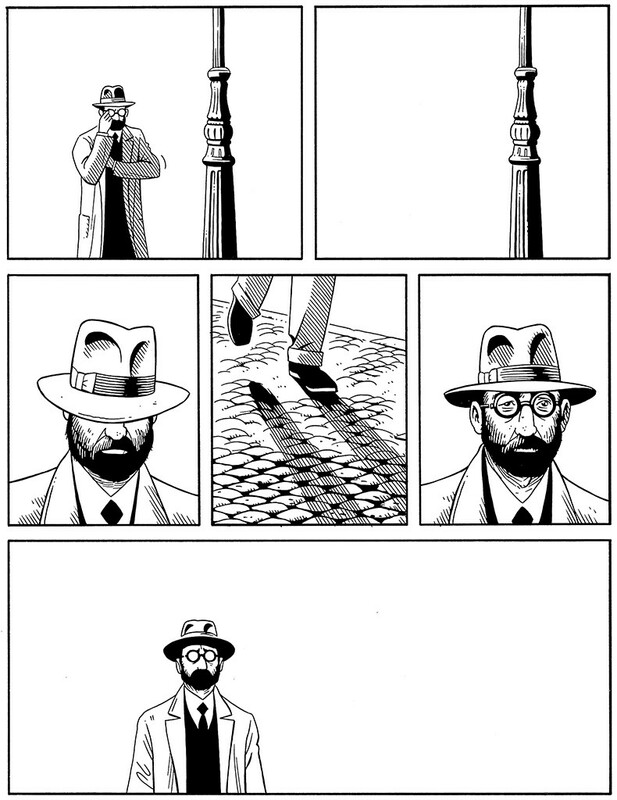 And, given its subject matter — the dissolution of Germany's Weimar Republic and the rise of fascism — the graphic novel reads as eerily prescient in the current political climate. While Lutes' Inkpot coincides with this milestone, it's notable for another reason: It's his first professional award. When he received it last month, the cartoonist relates with characteristic modesty, "It was a complete surprise, and I was utterly delighted." What's more astounding is that previous award nominations failed to produce a win, because Berlin is by no means Lutes' only accomplishment. His acclaimed earlier series Jar of Fools, which began as a comic in Seattle's alternative newsweekly the Stranger, was published in book form in 1994. Lutes has illustrated for Nickelodeon Magazine and other print and web publications and created album art. His shorter comics can be found in a number of compilations and anthologies. He collaborated on a previous graphic novel — The Fall, published in 2001 — with famed comic-book writer and "Westworld" contributor Ed Brubaker. Another collaboration, with Nick Bertozzi, produced Houdini: The Handcuff King, published by Disney in 2007. Creating all of this work, plus teaching at CCS since 2008 and raising two children, might be enough to derail a normal person from a project as enormously demanding as Berlin. If there were a prize for sheer tenacity, Lutes would be a shoo-in. Though the Inkpot isn't tied to a specific work, it certainly comes at a pivotal point in his career. "In some ways, he's finally finishing [Berlin] at the perfect time," comments Brubaker, "since it's actually more relevant today than it was in 1996, sadly. I'm excited to sit down and read the entire story again from the beginning. Jason's always been one of the most driven and imaginative artists I know." It should surprise no one, even Lutes, if his mantel begins to get a little more crowded. Julia Pohl-Miranda is the marketing director at Drawn & Quarterly, so it's her job to hype the Montréal-based company's publications. 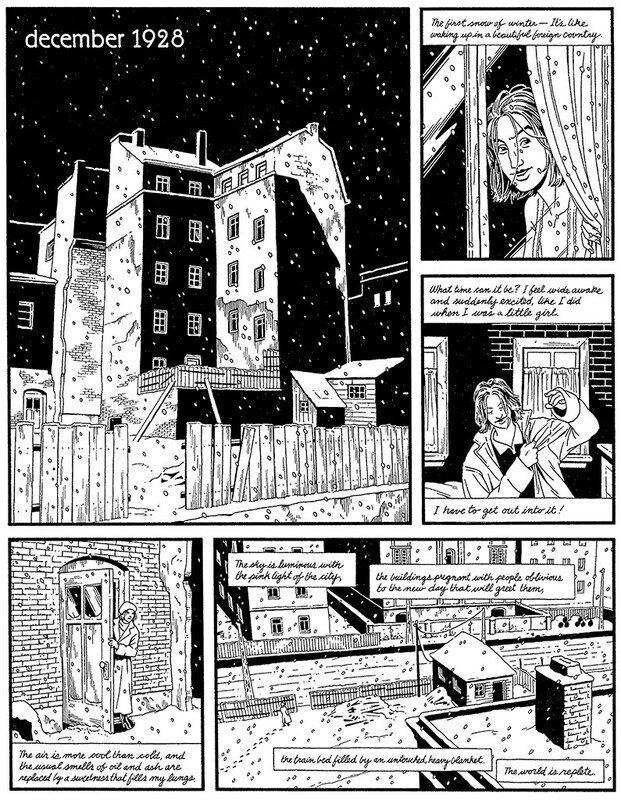 Still, it doesn't seem like hyperbole when she tells Seven Days that Berlin is "destined to be one of the greatest graphic novels ever." Having published Lutes' Jar of Fools, D&Q was eager to sign a deal for his trilogy, she says. "The human attention to the ordinary person, the elegance of the cartooning, the diverse cast speaking to diverse experiences — all of it was in the mix from the beginning," Pohl-Miranda says. "Over time, year on year, each chapter affirmed Jason's quiet genius." D&Q has printed more than 100,000 of the first two volumes of Berlin in paperback; Pohl-Miranda says the first print run of the hardcover edition is 20,000. Its list price: $49.95. While that number might give some potential customers pause, just lifting the book makes it clear that Berlin is textbook-scale in both weight and value. In fact, history professors would do well to augment their more prosaic texts with Lutes' gripping visuals and human stories. About those humans: As Pohl-Miranda notes, the cast is diverse. Set in a real time and place, Berlin incorporates historical figures, such as imprisoned newspaper publisher Carl von Ossietzky, German chancellor Heinrich Brüning and, ultimately, Adolf Hitler. Readers will navigate the names of multiple political parties vying for power in the volatile interregnum between the world wars. But it is Lutes' invented characters, an array of resident Berliners, who show us the daily life — and soul — of the city. One such resident is a young female art student, newly arrived from Köln (Cologne); another, a seasoned journalist whose belief in the power of the written word is gradually worn down by extremism. A working-class family is torn apart by differing political views and a tragic death. A wealthy socialite flits through decadent parties before aligning with the Führer. A Jewish family that befriends a good-hearted vagrant and a troubled orphan eventually must flee. These and other characters represent the city's social, economic and political strata. Some intersect; others never meet. Many watch friends turn to foes. All are caught in the inexorable web of political forces. Lutes claims that he knew next to nothing about the Weimar Republic when he decided to create a 24-chapter, three-volume book about it. In his deep dive into historical research, he says, "I remember being surprised that the Treaty of Versailles [in 1919, ending World War I] very clearly set the stage for a resurgence of German power, and that upwards of 30 different political parties held seats in the Reichstag during the Weimar period. But most of all," he adds, "I was surprised at the intense and progressive culture of Berlin." It was, after all, the Jazz Age, and not just in the U.S. At the time, despite Germany's governmental disarray, Berlin rivaled Paris as a cultural center of Europe. The arts, intellectual life and club scenes flourished; sexual and gender norms loosened. The zeitgeist depicted in Cabaret, which was based in part on Christopher Isherwood's The Berlin Stories, necessarily figures in Lutes' saga, too. "I'd had no idea how cosmopolitan it was," he says. And so we meet touring African American musicians, gay lovers and decadent partyers, as well as sparring activists, street toughs, struggling families and increasingly imperiled Jews. "Enlightenment implies great change, and people get scared about change," Lutes observes. "Some people just want to be told what to do." Reading Berlin can be confusing at first. Though occasional pages have a time stamp (e.g., "September 1928") Lutes interweaves his characters' stories and doesn't signal when the narrative switches from one to another. "I wanted to avoid [imposing] even a neutral voice," he explains. "I felt like that would take the reader out of the story." In time, as readers progress through the book, familiarity with the individual story lines dissolves confusion; in its place comes a keen interest in following the fates of these beleaguered citizens of Berlin. Lutes' mastery of his medium cannot be overstated; Berlin is a veritable compendium of cartooning techniques. His realist cityscapes are exacting, his characters' faces uniquely expressive. Lutes' use of line, contrast, and panels of variable shape and size contributes to the graphic appeal. Sometimes whole pages of pictures, without words, tell us everything. Given the dark themes, Lutes' drawing of the books in stark black and white seems appropriate. But he acknowledges other reasons, two of which are practical: "One, it's easier. If you put in color, it multiplies the visual storytelling by 10," Lutes says. "And two, at the time I started, it was cheaper to print." The artist also likes the immediacy of black and white. "When you pick up a book to read, it's an intimate experience," he says. "With comics, when I draw those pages, it's ink on paper. When printed, it's ink on paper. It's very close to the original. "I appreciate the closeness to the artist," Lutes adds. A comparison with Maus is perhaps inevitable: Art Spiegelman's groundbreaking work is also in black-and-white comic-book form and related in historical period and import. Serialized from 1980 to 1991, it was published as a book in 1992 and became the first graphic novel to win a Pulitzer Prize. In Spiegelman's work, structured as an interview with his father about the Holocaust, mice represent Jews, cats Germans, and pigs Poles. While the two works are distinct, Lutes applauds the form-busting precedent in his chosen genre. 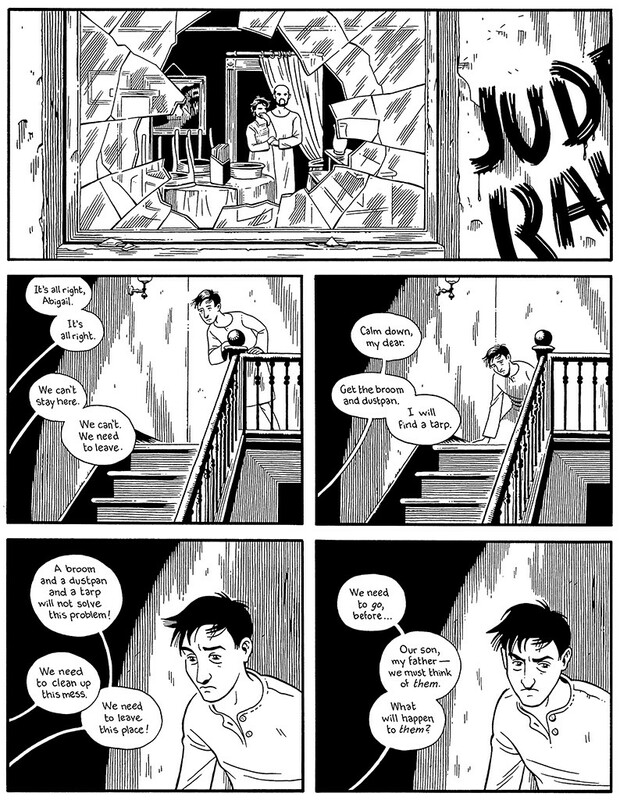 "When Maus came out, it opened up this whole realm of what comics can do," he observes. One of those things is revisiting the past to tell, or retell, stories in pictorial form. It's an interest Lutes shares with longtime friend James Sturm, cofounder of CCS. Sturm's own historical fiction includes the award-winning graphic novel The Golem's Mighty Swing, about a Jewish baseball team in the 1920s. "James and I [are] both using our medium to delve into the past," Lutes says, "to figure out the world." Creating Berlin, Lutes continues, was also about sharing and exploring. "I had a feeling of what was going to happen next, and I want readers to feel that, too," he says. "Beyond that, I hope people will be more curious about what was going on then and investigate on their own." Bios of Jason Lutes say he was born in New Jersey, which is true. But he was just a year old when his family moved to Missoula, Mont. Like many a future cartoonist, Lutes says, he began drawing as a child, before he could read or write. "Sometimes I would copy existing comics, which my mom would letter for me," he acknowledges. In the beginning, he tried to emulate westerns and superhero comics and would "turn school assignments into comics when I could." But an early introduction to the French comic-book series The Adventures of Tintin and Asterix turned out to hold greater influence on his drawing style, Lutes says. After earning a bachelor's of fine arts at the Rhode Island School of Design in 1991, Lutes moved to Seattle and took a job at comics publisher Fantagraphics. Before long, he met Sturm, whom he soon joined at the Stranger. A production assistant there for two years, Lutes spent another two as art director after Sturm left. He created his strip "Jar of Fools" at the paper. Lutes met other emerging cartoonists during this time, notably Brubaker and Megan Kelso, who launched her career in the 1990s with the minicomic Girlhero. As the comics scene burgeoned, so did technology. "I was in Seattle at the time of the dot-com boom, [and] the internet was taking off," Lutes recalls. 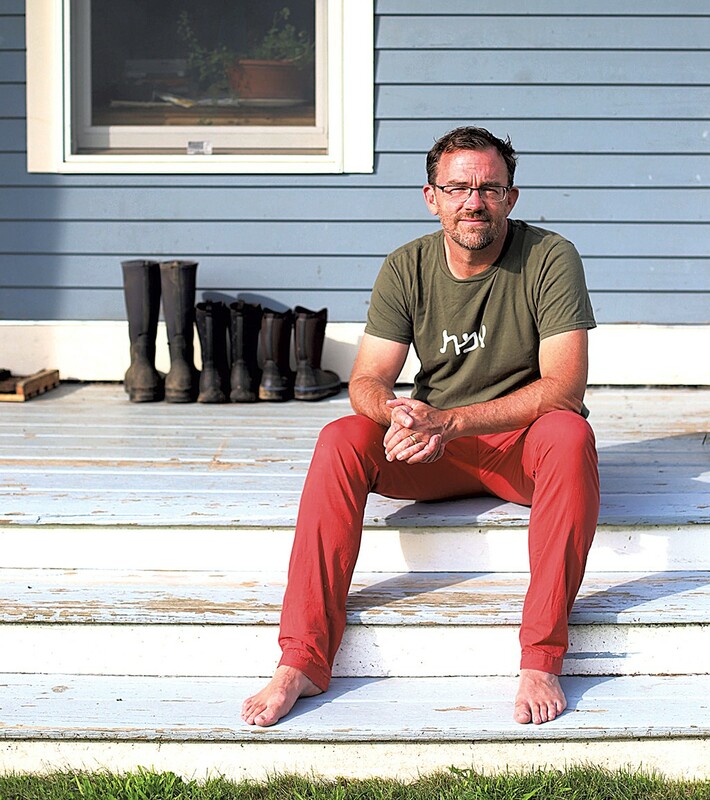 He left the Stranger in 1996 to "make a go of it as a full-time cartoonist," Lutes says. That was the year he envisioned Berlin, which he researched while getting by with freelance illustration work for tech companies, Nickelodeon and others, "and a trickle of royalties." A yearlong detour to Asheville, N.C., resulted in Lutes' autobiographical piece Rules to Live By, which was subsequently collected in AutobioGraphix, published by Dark Horse Comics in 2003. In 2005, Sturm made his cartoon-school dream come true by founding CCS, with Michelle Ollie, in White River Junction. He soon invited Lutes to teach there. But Lutes' partner, Rebecca Warren, was about to give birth to their daughter, Clementine, and the couple waited two years to make the move to Vermont. The decision was a no-brainer, though. "Becka is from Grafton, where her parents still live," Lutes says. "I had driven through Vermont the summer after my junior year at RISD and fell in love with it." Besides, he adds, "I had always wanted to teach at the college or graduate level. It was an offer I could not refuse." Now the family lives on a rural road in Hartland and has grown. Clementine is 12; her brother, Max, is 8. Out back on the "mini-farm," as Lutes calls it, the family keeps four pigs, 40 poultry birds, eight laying hens and two sheep. "I must have green in my blood," he says. "The landscape here really speaks to me." His workspace, by contrast, occupies a cramped corner of the musty-smelling basement. The only evidence of Lutes' finished opus: a map of Berlin on the wall and the hardcover book on his desk. Different times, places and characters are speaking to him now. Everyone who knows him agrees: Lutes is a natural-born teacher. Kelso experienced that back in the early '90s in Seattle, before Lutes officially was a teacher. "Things really opened up for me when I met Jason," she says. "When I think about how much he taught me — I didn't grow up reading comics, so he was really influential. He was patient and taught me in a clear and methodical manner. "I'm not surprised," Kelso adds, "to hear he's doing so well at the cartoon school." Luke Howard can attest to that. Among the hats he wears at CCS are those of program coordinator and faculty member. "Every student that comes through CCS has the honor and the pleasure to learn at the side of Jason Lutes," Howard says. "He's that rare kind of educator that you cite for the rest of your life as someone who has helped alter the course of things, the kind of educator that goes well above the average investment in their students." In an homage to the conclusion of Berlin, 157 of those past and present students, as well as a few of Lutes' colleagues, recently undertook their own ambitious enterprise: the "Secret Berlin Project." They re-created the first six chapters of Berlin, a page each in their own style, bound them into volumes and packaged them in a wooden box. The results were presented to Lutes recently at CCS; as a videotape of the event shows, he was visibly moved. "I think Jason's reaction went well beyond being touched," Howard observes. "It must be difficult to truly comprehend how much of an effect you've had on the people around you. Not many of us are ever given a gift that so effectively illustrates just how many lives we have touched." For his part, Lutes says he loves the intensity and dedication that students bring into the classroom, "because it helps me be a better teacher." 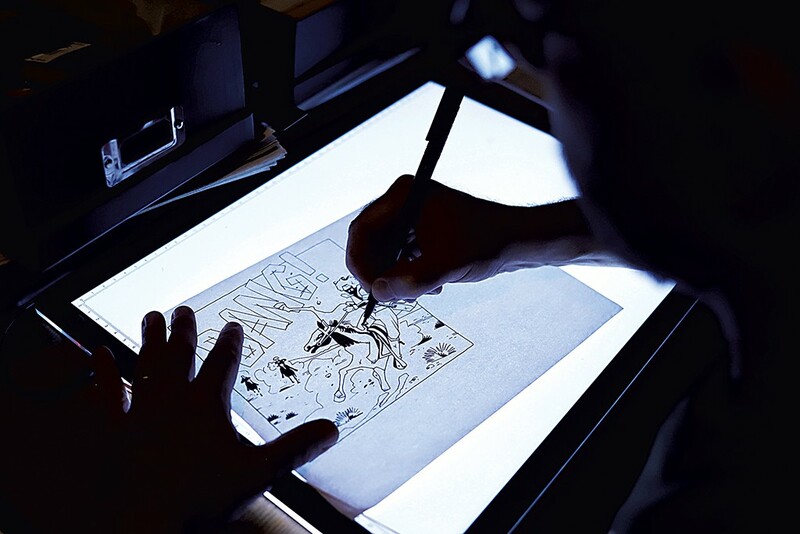 He describes the mission of CCS as "to help people who are passionate about visual storytelling to explore and understand their chosen art form while building the discipline and broad skill set necessary to do the hard work of making comics." Lutes notes that he would not encourage his students to embark on anything as massive as Berlin. Begin with a page, he advises. "I feel like I started this after I had a grasp of my medium," he says. Kelso says she wondered how Lutes would feel after finishing Berlin. "It's provided this structure to his life for such a long time," she points out. She needn't have worried. As it turns out, Lutes found inspiration for his next graphic novel in the classroom. "I developed an exercise for my students [to create] this three-part structure," he says, likening it to the first-second-third-act formula of cinematic storytelling. He told the students to research a historical time and place, get a film from an online random movie generator and plug the movie plot into their historical period. "Once you learn that structure, you allow for some improvisation," Lutes says. "I had them do a western, using Star Wars as a basis," he goes on, explaining how the exercise led to his own inspiration. "I realized, after teaching that for six or seven years, that I had the basis for my own western." And so, in a sense, Lutes is returning to one of his childhood favorites. But his grown-up western will have a bit of an edge. "I'm trying to play with the tropes," he says. Set in 1865 in Arizona — when it was still a territory, populated by warring native groups, escaped slaves and other unbounded factions — the graphic novel will be a "traditional western adventure story," Lutes explains, "but from the perspective of non-Anglo people." And, he states in planning-ahead mode, it will be 96 pages long. Lutes is about to embark on a Berlin book tour, but there is little doubt that he will finish this new project — and that it won't be his last. "My whole creative life has been driven by having these impulses," Lutes says, "and following them through to the bitter end." Berlin by Jason Lutes, Drawn & Quarterly, 580 pages. $49.95 hardcover. The original print version of this article was headlined "Drawing From Strife"
John Denner: Harry Bliss and Steve Martin make a fantastic team!